I saw this poster opposite the entrance to West Hampstead tube station. It’s a great poster site in terms of opportunities to see and the local and simple message is appropriate. 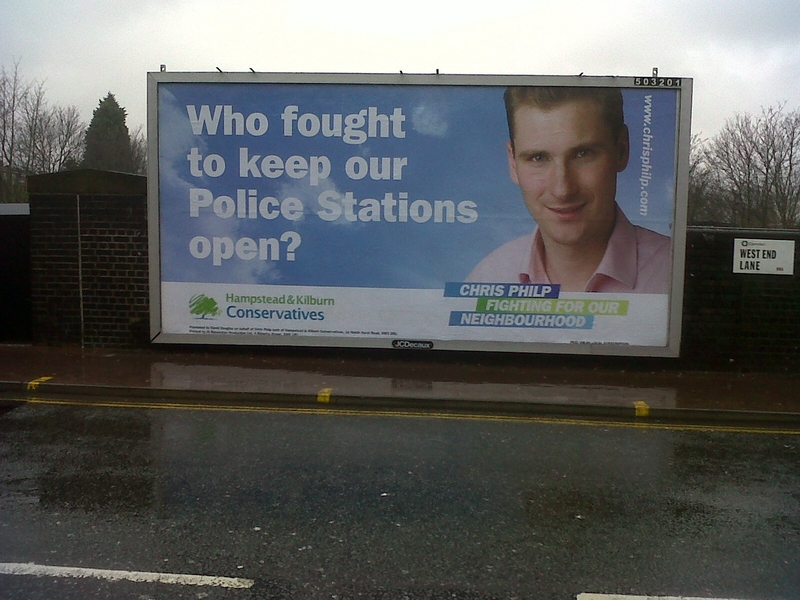 This advert is all about driving some name and face recognition for Chris Philip, the prospective parliamentary candidate for Hampstead and Kilburn, as well as driving home the fact that he’s interested in local issues. Tory HQ the Tories must be relishing the fact that they are able to afford to run this sort of highly targetted, broadcast advertising in key marginal seats.